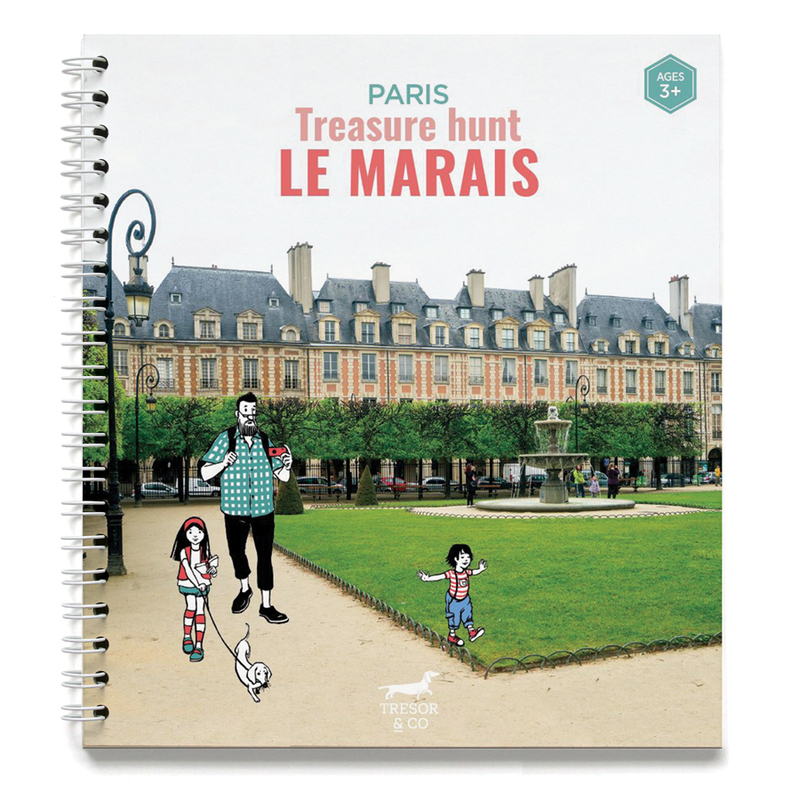 Le Marais hunt is a great way to explore the city, whether it's your first visit to Paris or you are a tried and true Parisien! One of the most interesting Parisian neighborhoods, it's a charming area with twisting and cobbled streets intertwined with modern boutiques and contemporary street art, along with buildings ranging from the Middle Ages through the baroque and classical eras. This treasure hunt guides the whole family through this fascinating neighborhood, filled with hidden symbols and fun surprises. We cannot guarantee you won't learn something about Paris and its history, but we can promise a great time! 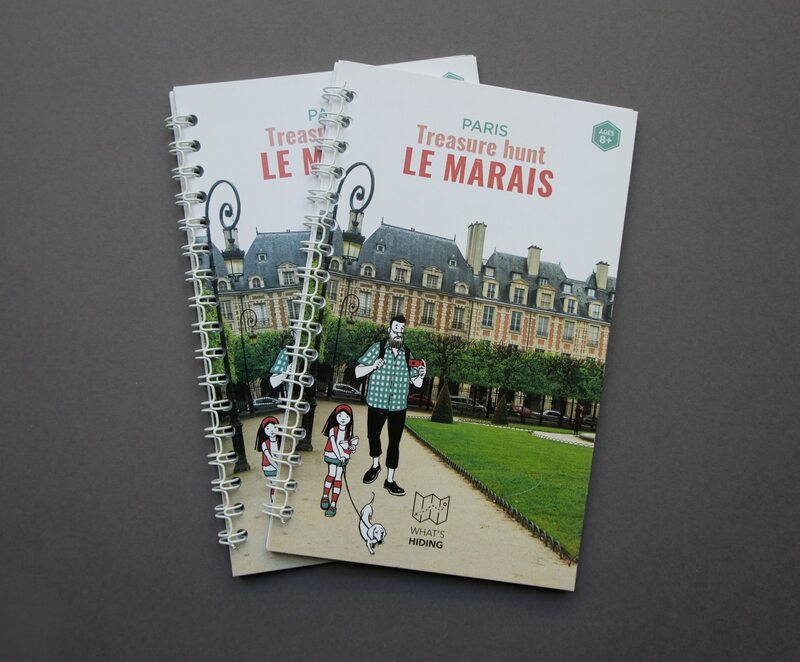 Each treasure hunt booklet includes a custom-made map and an envelope with illustrated answers. If you wish to hunt as several teams, just order as many booklets as you need! This hunt is fun to do on a sunny day - but it's brilliant for a rainy one! It will guide you from the beautiful arcades of Palais-Royal to the city's 19th century glass-covered galleries, including the famous galerie Vivienne and passage des Panoramas. You will learn about how the first restaurants and shopping malls were born, and discover how French architects incorporated hidden symbols and messages from ancient Greece and Rome into the Parisian buildings and monuments. For a very rainy day, we have included a couple of mini scavenger hunts that you can do inside the galleries. the ancestors of shopping malls Each treasure hunt booklet includes a custom-made map and an envelope with illustrated answers. If you wish to hunt as several teams, just order as many booklets as you need! Explore one of Paris’ most iconic neighborhoods: an incredible village within the city. 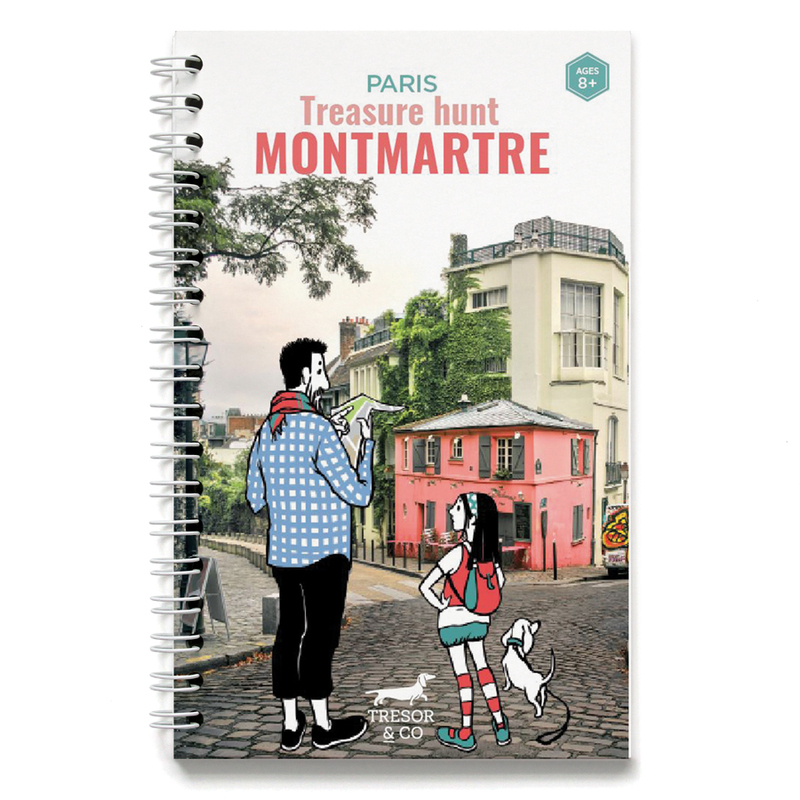 For anyone who thinks Montmarte is only Place de Tertre, be warned that this hunt is focused on the ton of hidden nooks and beautiful buildings, along with of course the unmissable garden of the Sacré-Coeur. The itinerary of this exciting hunt balances history, whimsical anecdotes and fascinating street art. You will also encounter all the symbols of Paris and some beautiful examples of both Art Nouveau and Art Déco (and become an expert-spotter of these special styles and features all over Paris!). Each treasure hunt booklet includes a custom-made map and an envelope with illustrated answers. If you wish to hunt team against team, just order as many booklets as you need! 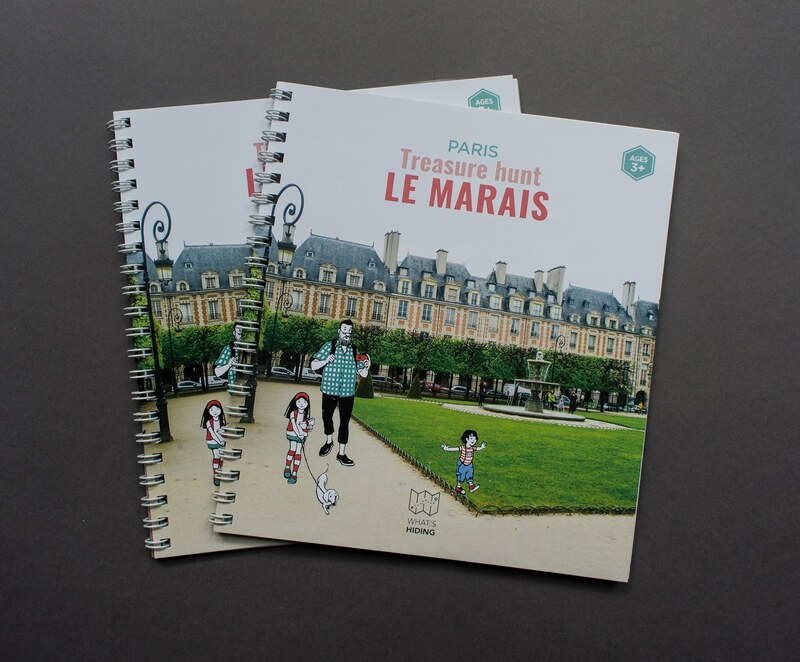 By popular request, we are launching a version of our Treasure hunt in Le Marais tailored for the little ones, starting from 3 years old. While they share a certain number of treasures, this hunt has a specifically designed itinerary involving questions tailored for the little hunters. 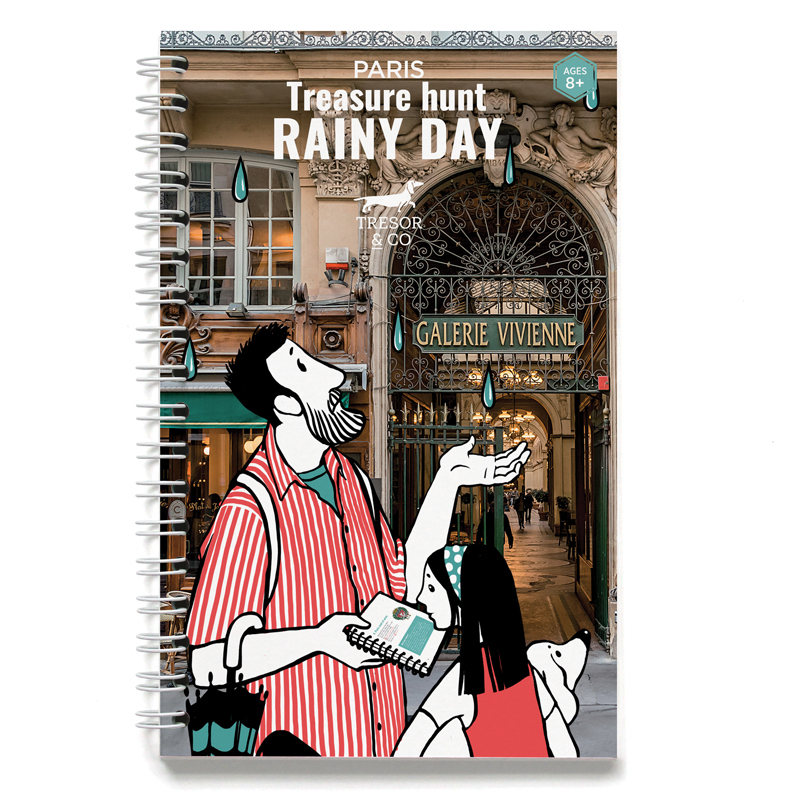 It will guide you through Le Marais cobbled streets, amidst 17th century palaces, Medieval ruins and contemporary street art, and includes a fun bakeries quest on rue des Rosiers and several pages to color in after the hunt! 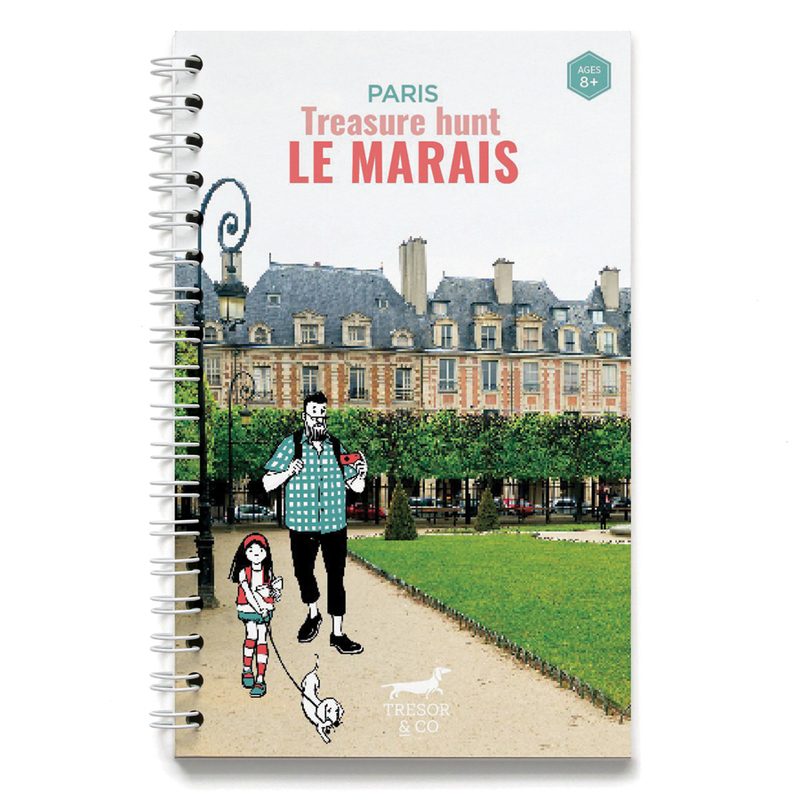 Le Marais hunt is a great way to explore the city, whether it's your first visit to Paris or you are a tried and true Parisien. 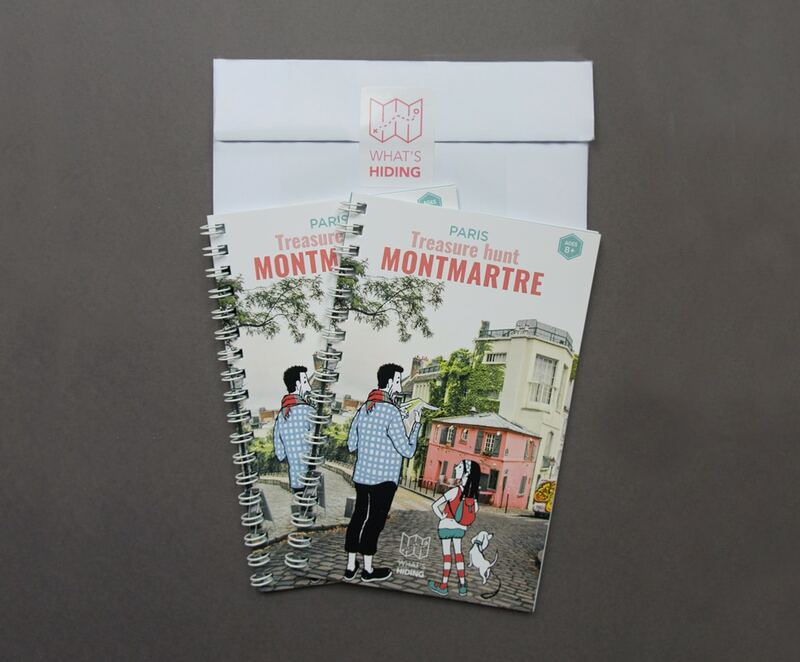 Each treasure hunt package includes: - 2 spiral bound booklets, each with a custom-made map - an envelope with illustrated answers. 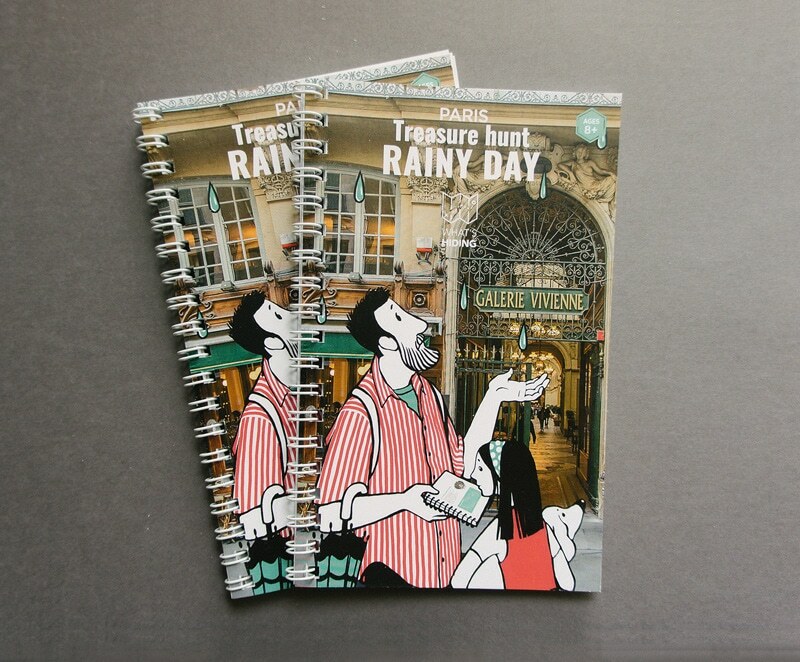 You may add up to two additional booklets to your order, if you'd like!